The streaming radio scene is set for a shake-up with Apple today launching its much anticipated iTunes Radio service, initially only for US-based users. In an effort to provide relevant content for users, the tech giant is looking to humans – not just algorithms – to help create over 300 genre-focused stations. While rivals like Pandora rely solely on algorithms and user feedback to work out what tracks to play, Apple is hoping humans with expert knowledge of a wide range of genres will be able to make better selections for music fans, a situation that should ultimately drive more sales via its iTunes store. Job postings spotted on the company’s website this week show Apple is looking for Latin music experts to program various station formats for iTunes Radio within the genres of “Alternative y Rock Latino, Brazilian, Pop Latino, Regional Mexicano, Salsa y Tropical, Latin Jazz, and Latin Urban music.” A Cnet report Tuesday says Apple is also looking for experts in other genres such as metal and alternative music. Applicants should have a strong understanding of the music business and at least five years’ experience in retail, radio, A&R, editorial, and record labels, and will be “responsible for programming featured stations within iTunes Radio,” the job ad said. In another effort to deliver an effective service from the get-go, Apple has reportedly been asking all the major music labels for their ‘heat seekers’ lists that show which artists are thought to be on the verge of hitting the big time. 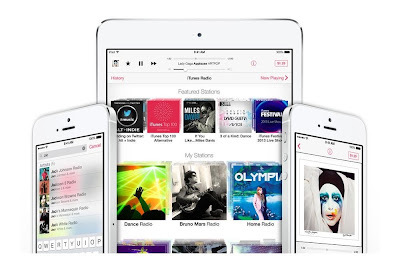 As Cnet points out in its report, bringing the human touch to iTunes Radio fits with the way Apple already operates its iTunes Store, with, for example, music experts choosing which artists – both established and upcoming – to feature on the store front. With Pandora revealing this week that its business is slowing, Apple will be looking to make a flying start with its new streaming radio service. iTunes Radio, which will be offered free with ads, or ad-free for subscribers to Apple’s $25-a-year iTunes Match service, launches in the US today with the release of iOS 7.